After serving our country, veterans deserve quality senior care that gives them the freedom to make their own healthcare choices. Read on to learn how the Program of All-inclusive Care for the Elderly (PACE) can serve U.S. military veterans. Independence is fundamental to the PACE model of care. 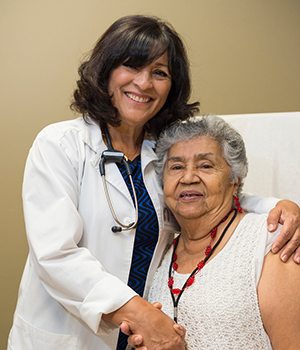 Through PACE, older adults can live in their homes for as long as safely possible, with access to comprehensive healthcare, state-of-the-art facilities, transportation, and more, all in one place. Veterans may be eligible for PACE through their benefits provided by the Department of Veterans Affairs (VA). Most PACE participants, including veterans, receive PACE at low or no cost through Medicaid and Medicare. Every PACE participant plays an active role in making their own healthcare decisions. You are considered part of the care team, and our staff are dedicated to working with each veteran to make a plan that works best for them. Watch this video to learn more about PACE and all that the program can offer. 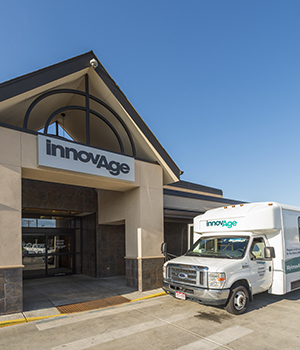 At InnovAge, we’ve seen first-hand how PACE can improve veterans’ lives. Joseph, 88, was referred to PACE by a fellow Korean War veteran who was already in the program. * Prior to joining PACE, the VA placed Joseph in an assisted living facility. According to him, the combination of PACE benefits with assisted living has been an ideal situation. The partnership between PACE and the VA opens up doors to many other services that wouldn’t normally be available through the VA alone. If you think PACE may be a fit for you or a veteran you know, submit this self-assessment and have a senior care expert contact you directly. Explore our website to learn about the enrollment process, or contact us for more information. *The names of participants have been changed to protect their privacy.